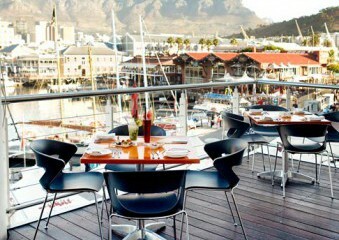 Meloncino at the V&A in Cape Town serves traditional Roman food with a contemporary modern touch. 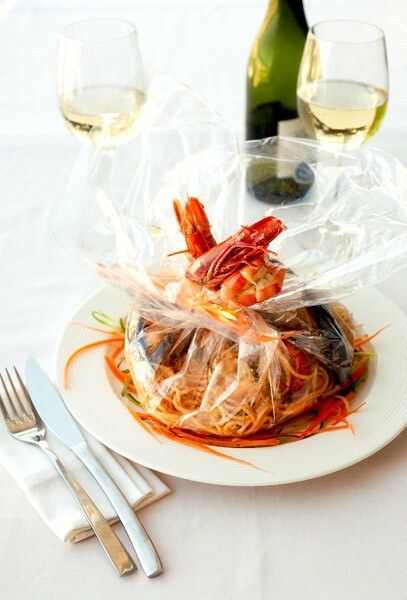 Home-made pasta and authentic Italian sauces, steaks and seafood are available from the charcoal grill. 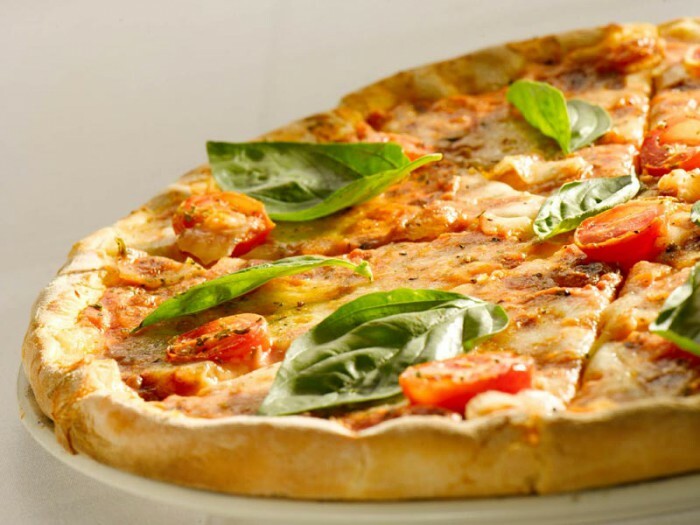 Pizzas are created in our wood fired oven with thin base (Roman Style) and thick base (Neapolitan Style). 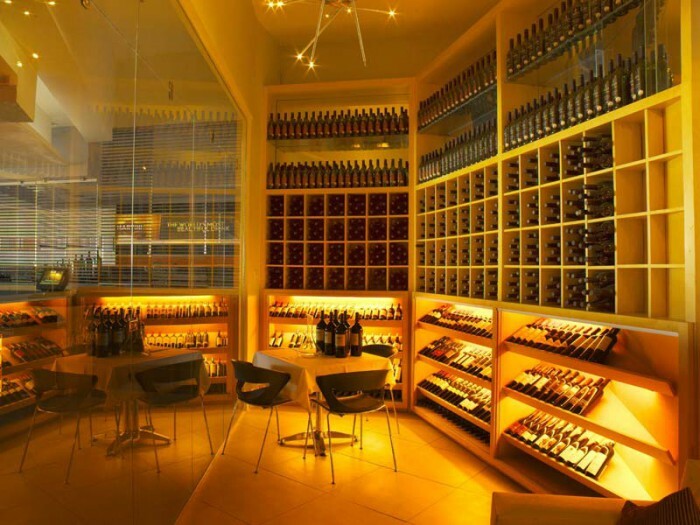 To stay faithful to the original recipes, the majority of our ingredients and wines are fully imported from Italy. 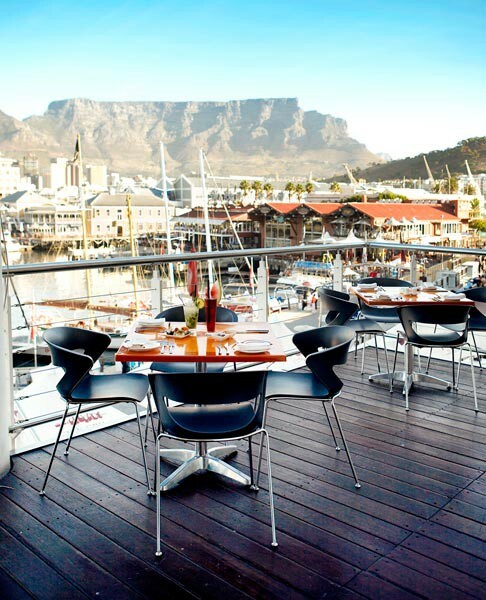 Being located on the second floor of Victoria Wharf Shopping Centre, above the quay, gives the restaurant commanding views of the magnificent Table Mountain and the working harbour below. 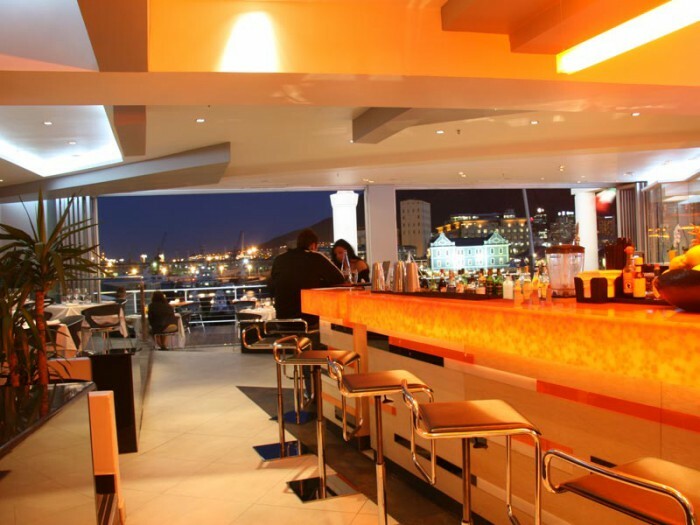 It's the perfect setting for sundowners, lazy afternoons and leisurely evenings. 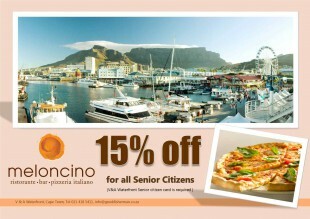 Provides guests with home-made pasta, breads and biscotti. 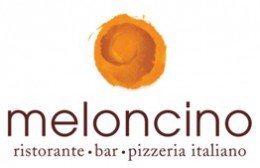 Creates pizzas in a wood fired oven. Prepare meals on an open fire charcoal grill. Has a Deli Bar where you can select from our display of Italian delicacies. We offer gluten free pizzas on request. We offer gluten free pastas on request. Our menu is Halaal friendly. We have a selection of set menus for you to choose from for a private function or group to suit your budget. Please contact us for further information on our set menus. All our pizzas are served the traditional Roman style (thin base). Napoletan style pizza (thick base) is available on request. 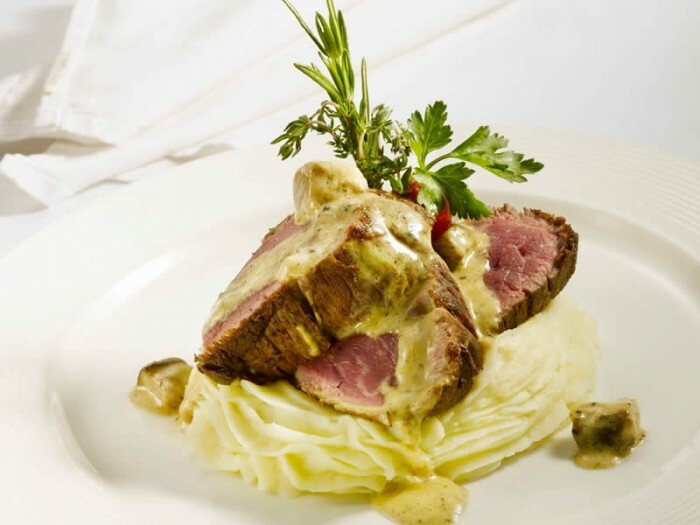 Medallions of prime beef fillet, topped with a creamy black truffle and porcini mushroom sauce, served with a light pommes puree. 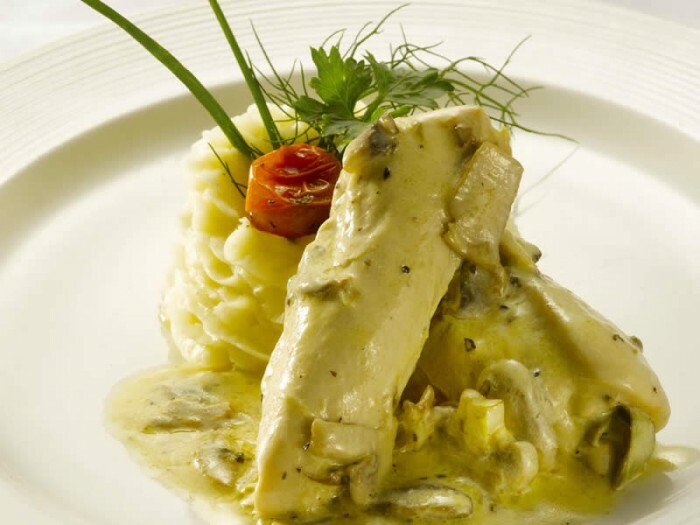 in a creamy, Klipdrift Gold brandy and mushroom sauce, served with a light pommes puree. We offer all our guests free wi-fi. 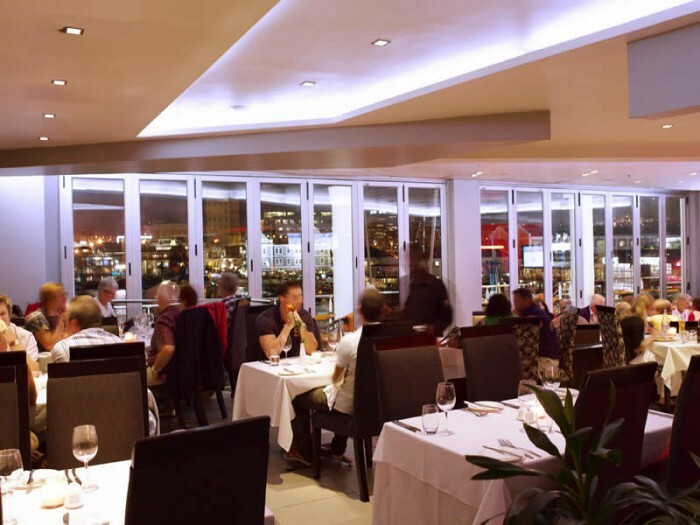 We have a selection of set menus for you to choose from for a private function or group to suit your budget. Please contact us for further information on our set menus. We provide our guests with home-made pasta, breads and biscotti. Our pizzas are created in our wood fired oven. We prepare meals on an open fire charcoal grill. We specialise in Italian coffee. We have a Deli Bar where you can select from our display of Italian delicacies. 11am - 11pm, Monday - Sunday, 365 days a year. 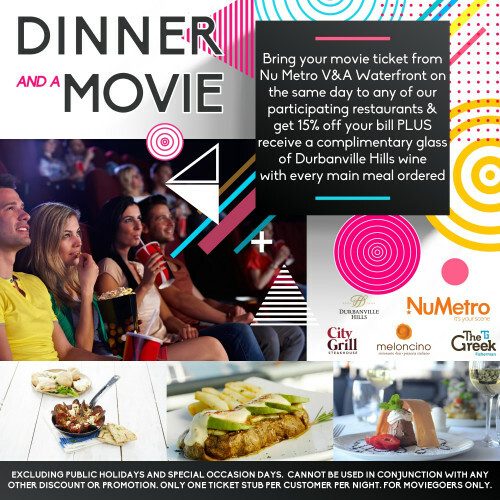 Bring your movie ticket from Nu Metro V&A Waterfront on the same day and get 15% off your bill, and receive a complimentary glass of Durbanville Hills Wine with every Main Meal ordered. 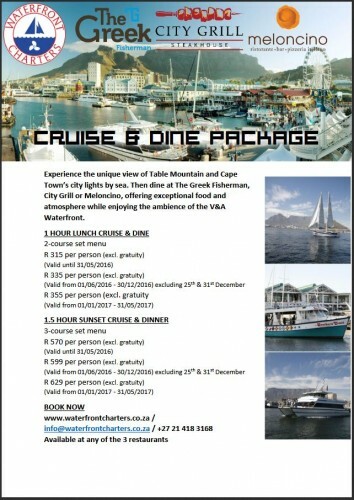 This offer excludes public holidays and special occasion days and cannot be used in conjunction with any other discount or promotion. Only one ticket stub per customer per night. 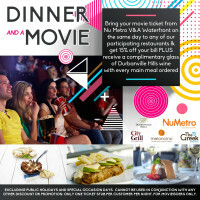 For moviegoers only! Cape Town’s most memorable dining experience. 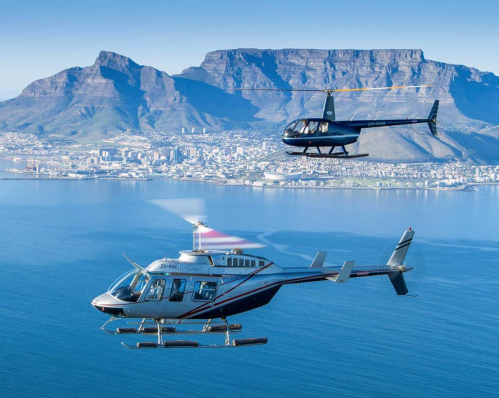 A delicious meal followed by a serene cruise in the bay: a sublime afternoon treat, or the perfect evening finale to a Cape Town day. 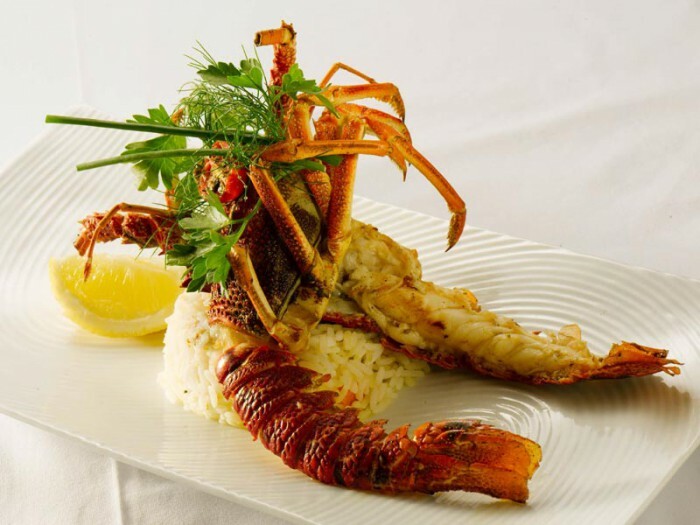 GREEK FISHERMAN WITH CRUISE: Sumptuous Seafood and Mediterranean Cuisine with a twist. 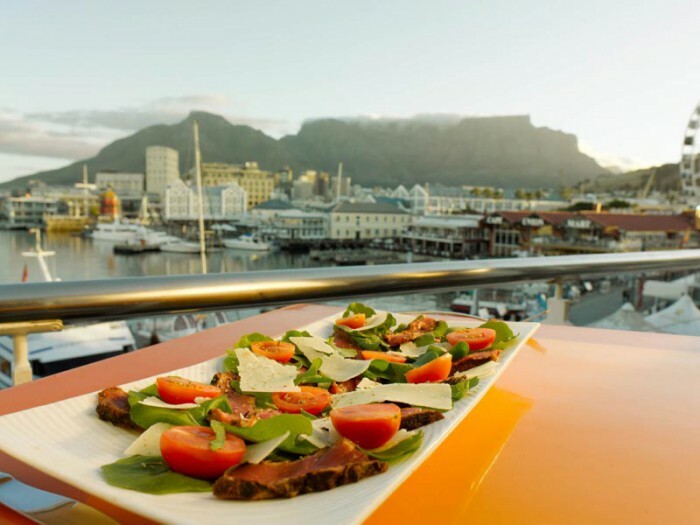 CITY GRILL WITH CRUISE: South African dishes with various Venison options and beautifully matured steak. Cocktail Happy Hour. 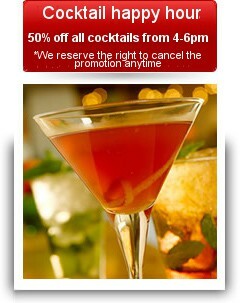 50% off all cocktails daily between 4 - 7 pm. *We reserve the right to cancel the promotion at any time. See Cocktail Menu for details!